Cape weed (Arctotheca calendula) annual in flower - Introduced plant pest, weed. Yellow flower. 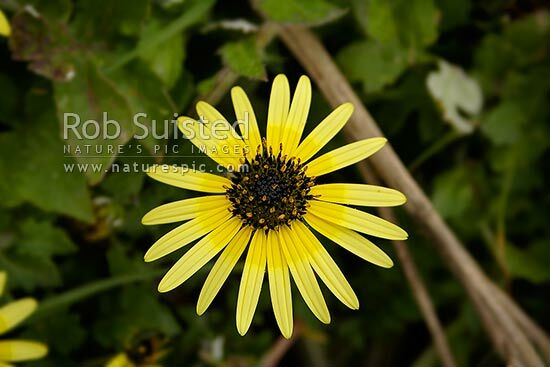 Asteraceae, New Zealand (NZ), stock photo.